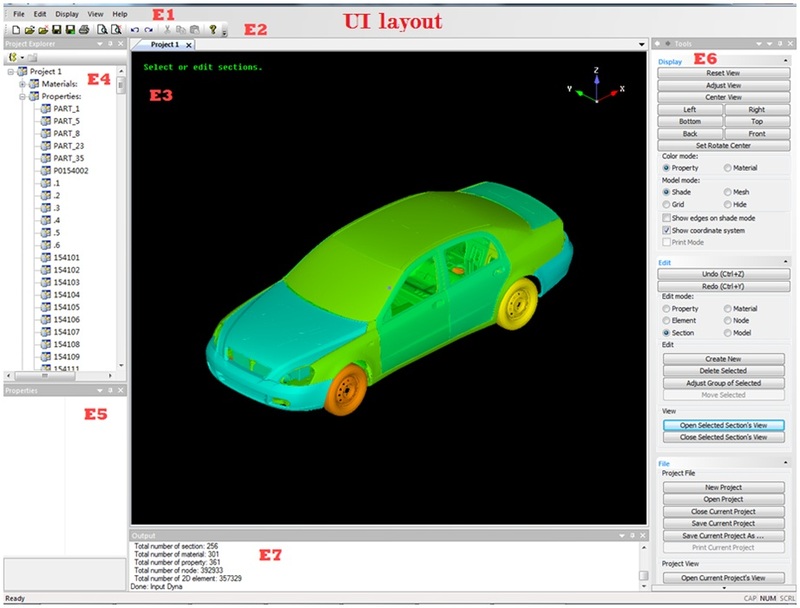 Import / Export / Edit mesh models (file format: .dyna, nastran). Fast and easy extraction of cross sections from mesh model. Import / Export CAD sections (file format: iges). View sections and results in 3D space. Easy used tools to design geometry. User friendly tools to define, import/export, edit the used property and material. Section benchmarking and design target setting. Design iterations and design failure mode. Crash Safety Strength (Axial, Bending, Torsion, Arbitrarily load specified by user). 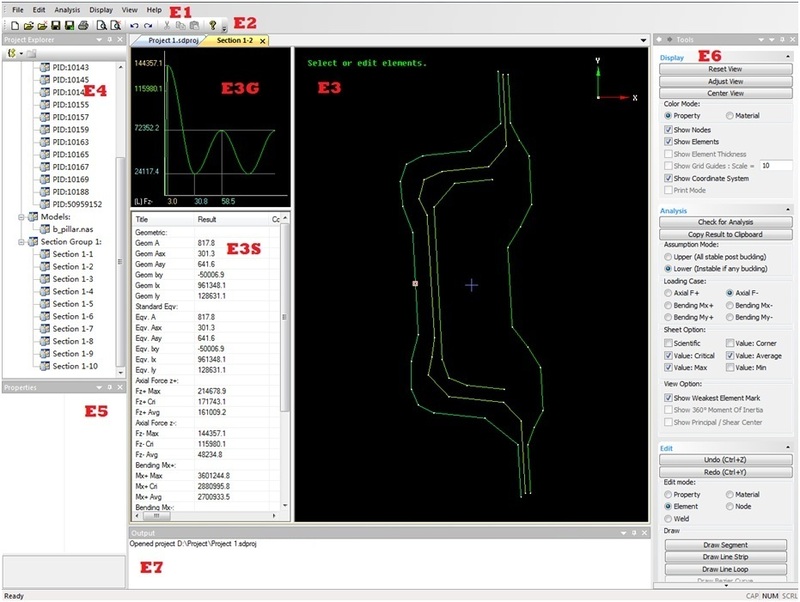 Export section for CAD system. Accsess, upload, download benchmarking sections, search sections with conditions. View section and result in list interface.